The technique of medial-basal segment (S7)-sparing basal segmentectomy has not previously been reported. 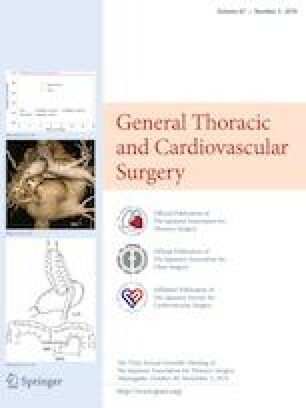 Herein we report the technical details of thoracoscopic anatomical basal segmentectomy preserving S7 in patients with B7ab branching pattern. The online version of this article ( https://doi.org/10.1007/s11748-019-01116-4) contains supplementary material, which is available to authorized users. All authors participated in this study and agree on the content of this manuscript. No author has any financial or other relationships that could lead to a conflict of interest.